We use the 1979 Book of Common Prayer and the 1982 Hymnal for most services at St. Mary's. The services in the Chapel are spoken and use more traditional language (known as Rite One). They are usually about 40 minutes long. The Sunday service in the main Church includes music and more contemporary language (known as Rite Two). It's usually about an hour long. The Saturday evening service held during the winter months (January - March 24) encourages people to "come as you are" and is held at the St. Mark's altar in the main Church using more contemporary language (Rite Two). It's usually about 30 minutes long. In addition to our weekly worship schedule, we have special Lenten and Holy Week services, a Lessons and Carols service, two Christmas Eve services (one for families in the late afternoon showcasing the children's Christmas Pageant, as well as a more traditional Midnight Mass with full choir and string ensemble, followed by a champagne toast to the newborn King after the service). 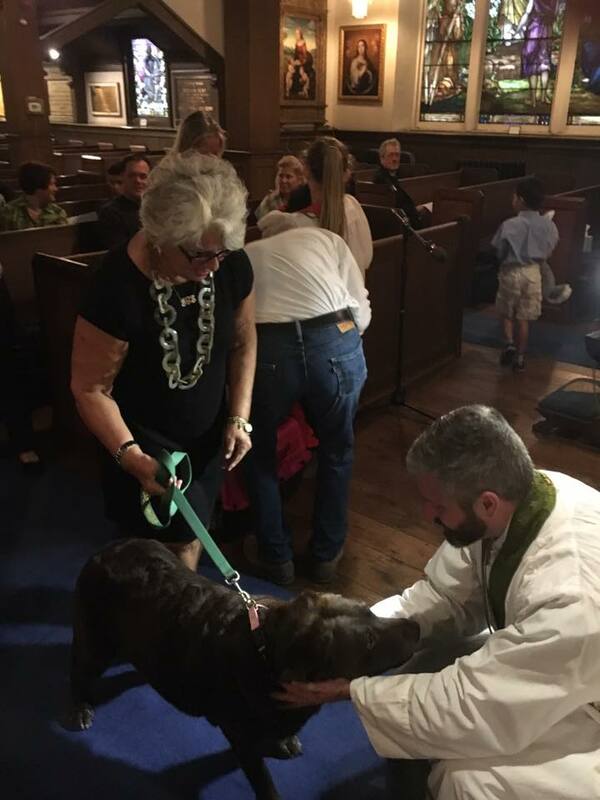 Our Blessing of the Animals takes place around the Feast of St. Francis and is one of the most favorite services all year long (see the video here, courtesy of Calvin De Mond). Father Rick also says mass regularly at the Promenade at Tuxedo Place, a senior living facility in Tuxedo, as well as at the Valley View Nursing Home in Goshen. Father Rick also conducts three services each year at St. John's in Arden, NY, a small country chapel located on the former Harriman estate, ten minutes to the north of St. Mary's. These services, which utilize the 1928 Book of Common Prayer and the 1940 Hymnal, are typically held on Thanksgiving Day, Christmas Eve and Easter Eve. These services are open to the public and many St. Mary's parishioners attend, enjoying its rustic quaintness.